Simple as they are, this series of vintage jewelries will definitely make a highlight of your makeup. As a permanent tone to convey elegance and refinedness, silver is a classic joker color to match with any garments and will dramatically elevate a person’s temperament and image. The sublimation insert featured will be the exact spot to show your personalities. Fashion is to present the greatest beauty with the simplest things or to present personalities with creativity. You think this is an enameled cup? Actually, it’s made of ceramic! The exterior and shape of this ceramic camper cup resemble our enameled camper cup, it is a super hot item in the sublimation market according to our customers’ feedbacks. As a strong addition to the whole set of Arc Multi-Function Mug Press, this mug heater is perfect for pressing 12 oz enamel cup, providing you with more possibility to press different mugs. Strong enough like a workhorse, yet convenient enough to be folded into “a piece of bread”, these foldable fashion tote bags are long-lasting, water-resistant and washable. Print some pleasant floral patterns, lovely pet images, geometrical designs, or simply a monogram, if you please, to the tote to convert it into an amazing alternative to the plastic shopping bag, or a convenient chic tote bag for travel. Hand carry it or sling it over your shoulder – exactly as you wish. Walk your dog freely with this retractable dog leash with one button brake lock safety system, which allows the dog leash to be adjusted to a comfortable length with ease, providing the dog with added freedom while under your control. The dog leash has a handle composed of a black plastic case and an ergonomic anti-slip grip that fits in your hand comfortably. On both sides of the handle lies a round printable area (Φ 2.6 inch) for customized sublimation image, which makes the dog leash stand out from others. The leash made of nylon strap is strong and durable and extends up to 9.8 ft., and at the end of the leash is a metal clasp that connects to the dog’s collar. This dog leash is literally the both easy-to-use and stylish one you ever want. Simply clip the clasp onto the dog collar and let the dog go. Push and pull the button on the handle to release and fix the strap, and push the button from the back to retract the strap, to adjust the length of the leash with ease. Put a photo of your dog onto the handle, which will make the leash a unique leash peculiar to your pet, and your pet a super star on the street. So just get one of this dog leash and let it provide you and your pet with an easy and delight bounding time. A little bag with replaceable flap designed for both girls and boys. This bag is made out of high-quality canvas to ensure durability for years to come, and the special fabric used for the flap produces a better image transfer effect, making the image clearer and more vivid. It comes in black, blue or red, and the replaceable flap allows the bag different looks for different occasions. Really an optimal option for keeping pencils, cosmetics or the like. Great news! We are having sublimation socks now! 50% cotton and 48% polyester, these socks are really comfortable and breathable. Three kind of socks to choose from: Football socks, Basketball sock, and Ankle sock. This is a little white hoodie for 21 cm (8 inch) plush teddy bear, which is made of 100% polyester, with the string made of full cotton. This hoodie measures 4.3” x 3.5”, providing a printable space of 3.1” x 2.3” for sublimation image. The features of being printable and washed easily make the little hoodie a great add-on for plush teddy bear or other suitable stuffed animals. Coming in luxuriously soft plush and wearing a cute white hoodie, this teddy bear (in dark brown or golden brown) makes an irresistible cuddly toy for kids, a gentle love messenger on Valentine’s Day or a personalized gift for anyone who are fond of stuffed animals. On the hoodie is a vacant printable space of 3.1” x 2.3” for sublimation image. You can choose any of image you like to customize your teddy bear by printing it on the hoodie. The teddy bear’s matching hoodie can be easily removed for washing, making it very convenient to keep it clean. 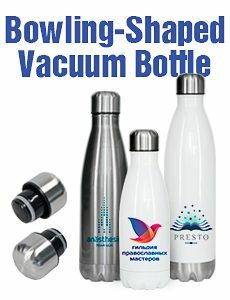 The 64oz vehicle double-layer vacuum bottle is of linear type. The lid is integrated with the handle, the inside of which bears two concavo-convex finger prints, making the bottle easy to carry. The double-layer silica-gel sealing ring contributes to heat preservation and the silence upon opening the bottle. The bottle is of evident weight sense and perfectly linear shape, which makes it suitable for vehicle. The FDA-certified coating is of high reduction rate for transferred colours, no fading, and nontoxicity and harmlessness. Should you have any query, please feel free to contact us. 11 oz. White mug is one of the classic products of our company. The simple shape, safe coating and practical function are essentials of top selling. It is FDA certified and the most popular product among our American and European customers. It has a smooth rim, with fully coated ORCA coating body that supports optimal color effects. Our ORCA coating ensures the best durability in wash machine and microwave. We do advocate environmental protection and wish people cut down daily disposable cup uses, we believe our white mugs will be one of your smart choices. Domestic and foreign customers are welcome to visit us, consult and order our products. The 400 ml stainless steel water bottle with flip top lid is perfectly tailored for you to hold. The double-layer vacuum 304 stainless steel structure is perfect not only for heat preservation but also for anti-scalding function. Its food-grade PP bottle lid bears no odour and is equipped with a silica-gel sealing ring, with the buckle-type switch preventing side leak. The 400 ML stainless steel water bottle is all in all safe, heat retaining and considerate. The thermal transfer coating completely allows the printed pattern to represent your preferences. We believe your customized designs would grant the bottle a brand new meaning. Should you have any query, please feel free to contact us. As a healthy lifestyle, yoga is loved by more and more people. An environmentally-friendly, comfortable and personalized yoga mat comes into being – a thermal transfer yoga mat. The thermal transfer yoga mat is the perfect combination of soft suede and soft rubber. We use pure natural rubber material, safe and healthy, no smell, more environmentally friendly; high quality rubber resilience; light and durable, easy to carry and storage. This top-seller Thermal Flask still applies high quality 304 stainless steel and double wall design, which can hold hot liquid warm up to 6 hours, cold liquid up to 8 hours. The unique double handle design will still be very popular this year. We added a leak-proof ring into caps, and an arc-shaped lifting grip on the cap makes it easier to carry. Many similar products usually use an extra bottle case to carry, but we redesigned the bottle’s cap to replace the function of the case. Most of customers’ orders packed with a black leak-proof ring, but we have white rings to supply, as some individual customers demanded, please do not hesitate to contact us for more information. 2018 Brand New Design is coming!! This ceramic mug comes with a food-grade silicone lid on the top, it ensures good warm-keeping effect. It is a wonder choice for people who love sports such as jogging, hiking, and climbing. Every bottle has an odorless leak-proof screw cap. The streamline-shaped body is made of high quality stainless steel. This leak-proof mug is very popular on the market. 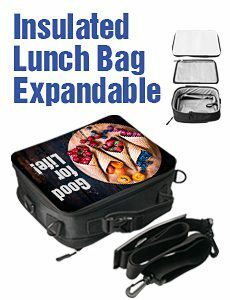 Very portable for hiking,biking, shopping or home use. Two different type available. This mug still using our marvelous Orca coating, which performs fascinating sublimation results. Our ORCA coating ensures the high image resolution and sublimation paper would not stick on the bottle’s body. Domestic and foreign customers are welcome to visit us, consult and order our products. Also known as magic mugs, it acts as an indicator of water temperature, the mug’s body begins to change color when the temperature reached to 40 ℃, and the color will gradually fade away when the water is getting colder. Available in Black or Blue exterior color, in cases of 36 pieces. This patented technology has opened many new decorating options in the world of coffee mugs. All of our products are FDA certificated, harmless to the human body. It is of high temperature resistance, and high rub resistance. Domestic and foreign customers are welcome to visit us, consult and order our products. 12 oz. Sublimation Coated Fine Enamel Cup. What truly distinguishes this photo mug is the enamel coat. Very fantastic idea to combine the sublimation skills and enamel cup together. The most fashionable color and the user-friendly principle comes from Photo USA! Experience the magic of our 17 oz. color changing latte mugs! At first glance these look like your standard black mugs, but upon adding hot liquid, your imprinted images come to life with perfect clarity. New sublimation blanks-Disposable Hotel Slippers! To show your company culture, Logos or text can be printed on the slippers. White body is easy to be sublimated and makes you feel very clearn. Comfortable terry material will offer you an amazing hotel experience. Don’t hesitated, call us now!